The Motorola W388 is a music phone for the masses. Take a look at the review, features, technical specifications and price of the phone here. 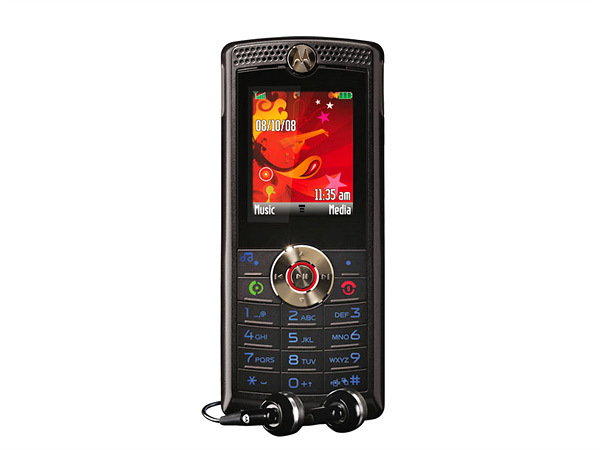 The Motorola W388 is yet another low -end music phone from the American giant. Armed with a simple music player, FM radio, memory expandability and a basic VGA camera this phone has its limitations but the virtues fit the bill. 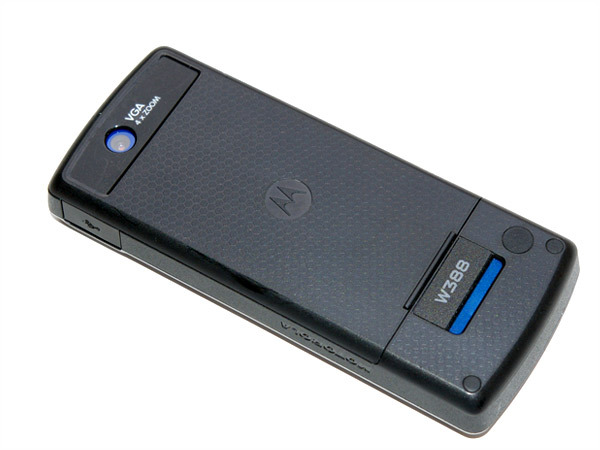 Only Motorola can make a boxy phone look good, which is what the W388 is with a distinct candy-bar phone styling from the 90s. The materials used on the phone's exteriors are not that good but the build is sufficient for a phone of this segment. 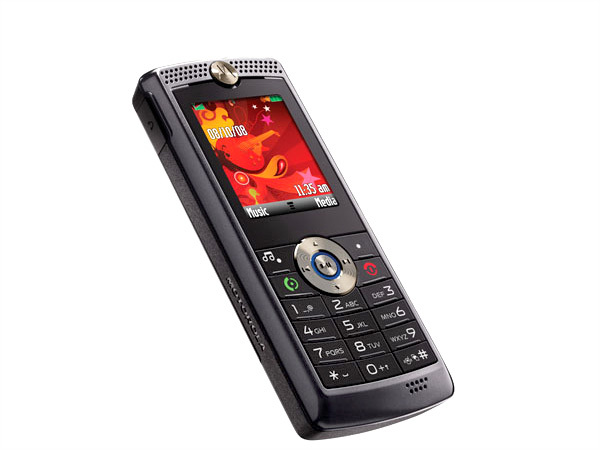 Unlike some other low end Motorola music phones, the W388 incorporates (and thankfully so) a TFT screen that produces 65K colours over a resolution of 128 x 160 pixels. Standing at 1.8-inch diagonally, it is the best screen in the segment and perfectly complements the phone's dimensions. Although grainy, the display shows good colour representation and decent legibility under direct sunlight. Above the screen is a handsome Motorola logo surrounded by faux loudspeaker grills. Below the display we see the D-pad which consists of the softkeys and the nav-pad. The nav-pad like the Motorola logo above the display is made out of metal and is of very high quality. Using metal for a navigational pad is an excellent idea since it faces a lot of wear and tear on account of being used the most. The nav-pad doubles up as the dedicated music keys and features the necessary music player symbols. It also boasts of impressive tactility and finger feedback that lends to a comfortable and confident navigation experience. It's very unfortunate that most manufacturers don't take as much care as Motorola to incorporate good nav-pads on their basic models. Below the nav-pad is of course the alphanumeric keypad. It is not really text friendly but sports separations that afford for some sort of touch orientation. On the sides of the phone are the USB port and the 2.5-mm audio port. They are both covered by good quality plastic lids. Flipping the phone over reveals the back which is dotted by small hexagonal patterns that enhance the phone's aesthetic. It also makes gripping the phone easy. Seen here are also the VGA camera window and the loudspeaker behind a blue strip. As we said before, the phone's build is decent and the handset produced no creeks or sounds when pressed at various places. The phone's UI is simple yet intuitive as it features great menu logic. It is quick and responsive for the most part but does slow down of freeze at times. The phone's telephony is average even for the low-end segment as the in-call volume is very low. Quality is also poor despite incorporating Motorola's Crystal-Talk technology. The music player is a fairly intuitive app. While it is simple, it has all the necessary functionality of a portable media player except for the absence of equalizer settings. Audio output from the 2.5-mm jack is not very loud but its quality is decent. The set of earphones that come bundled with the phone are of mediocre quality but better substitutes are easy to come by. The phone also features microSD memory expandability for up to 2GB. There is however no option for mass-storage transfer via the phone and songs must be fed into the card using a card reader. Like the music player, the FM radio sports a simple interface. It is capable of automatic scanning and auto-saving of channels. There is also an option to record a minute's worth of radio broadcast for later play back. The recorded clip can also be assigned as the phone's ringtone. The phone also packs in a VGA camera. It isn't capable of video recording but picture quality is the best you can get for this low resolution. There are a few camera settings too like white balance settings, exposure compensation and brightness adjustment settings. The camera is also capable of 4x zoom and comes with a self-timer option. In addition to the basic media apps, the phone also has an organizer and some games. Language support for the messaging function and the menu interface is available in Hinglish, Bengali, Tamil, Telegu, plus three Romanic and seven African languages. Overall, the Motorola W388 is a decent performer. 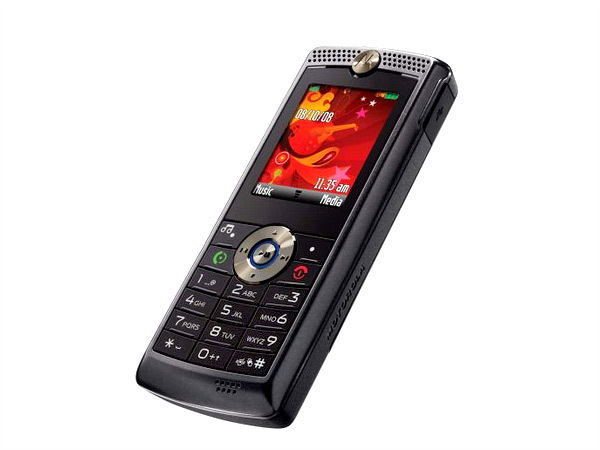 If your budget is stretchable then it would be better to go in for a low-to-mid-end Sony Ericsson or Nokia music phone.